Home Opinion OPINION: NIMASA- NLNG TAX FEUD: IS THE LAW STUPID? OPINION: NIMASA- NLNG TAX FEUD: IS THE LAW STUPID? 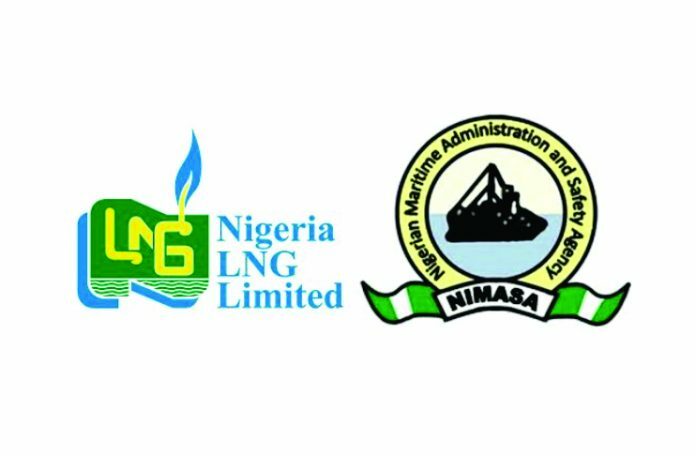 The feud between Nigeria LNG Limited and the Nigerian Maritime Safety and Administration (NIMASA) over the former’s refusal to pay the appropriate taxes, levies and duty charges to the federal government is just a result of the refractory nature of those who run or rather rule this country particularly the current bunch. Can we recall that at his maiden presidential media chat of Wednesday December 30th 2015, President Muhammadu Buhari said he will launch fresh enquiry to know the “present status” of the feud between NLNG and NIMASA over alleged failure of the natural gas development company to pay some statutory dues to the federal government. Four years has passed since he made the vow and how he had addressed the feud remains at best blurred and at worst obscured. Meanwhile, this feud can be resolved with a fiat if our political leaders particularly the President who also happens to be the nation’s Minister of Petroleum Resources can wake up his ideas to do the right thing rather than bulk passing to the previous government just to hide the inability to produce the desired results. Nigerian LNG Limited is merely playing a mind game by its now everyday trumpeting that it has suffered revenue loss of over $355 million due to illegal blockade of the water channel by the Nigerian Maritime Safety and Administration (NIMASA) due to the tax feud between the two organisations. Revenue loss by the liquefied gas producers is not the issue at stake because the federal government through NIMASA also could rightly be the one crying that it is making huge revenue loses running into hundreds of millions of dollars also by NLNG’s refusal to pay the appropriate taxes, levies and duty charges. The NLNG is a limited liability company incorporated in Nigeria and owned by four shareholders with majority shareholding by foreign entities. 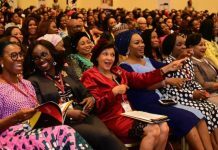 The Federal Government is represented by the Nigerian National Petroleum Corporation (NNPC) and has 49 per cent share. Shell Gas BV has 25.6 per cent, Total LNG Nigeria Limited owns 15 per cent and ENI Int’l has 10.4 per cent. 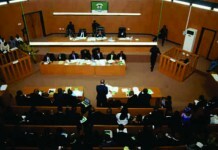 Let’s even look at the crux of the feud: This dispute between NIMASA and NLNG actually started as a result of perceived conflicts in the enabling Acts establishing both organizations- The Nigeria LNG (Fiscal Incentives, Guarantees and Assurances) Act on one hand and the NIMASA Act; Merchant Shipping Act; and Coastal and Inland Shipping Act on the other. So a careful look at the relevant sections of the various laws setting up the two organisations therefore becomes imperative in understanding the source of this conflict. For NIMASA, the Act establishing it- The NIMASA Act 17 of 2007 merged the National Maritime Authority Act and the Joint Maritime Labour Industrial Council (JOMALIC) Act. Section 2 (1) of the Act states that: “This Act shall apply to ships, small ships and crafts registered in Nigeria and extend to ships, small ships and crafts flying a foreign flag in the exclusive economic zone, territorial and inland seas, inland waterways and in the ports of the Federal Republic of Nigeria.” It further said that, “This Act does not extend to warships and military patrol ships”, which are the only ships exempted from NIMASA’s jurisdiction. The Coastal and Inland Shipping (Cabotage) Act 2003, created the Cabotage Vessel Financing Fund (CVFF) to promote the development of indigenous ship acquisition capacity by providing financial assistance to Nigerian operators in the domestic coastal shipping. This Fund, according to the Act, shall be funded by a surcharge of 2 per cent of the contract sum performed by any vessel engaged in the coastal trade. It would be recalled that NIMASA had in 2013 taken the management of the NLNG to court following arguments over whether or not the latter ought to pay 2 percent Cabotage and 3 percent freight levies for shipping by Bonny Gas Limited, a subsidiary of NLNG, estimated at over $400million to NIMASA up to September 2013. So this gives an idea of the cumulative amount from 2013 to 2019 that the NLNG allegedly owes NIMASA. Now, these are the issues: Indisputably, The NLNG Act exempted the organisation from paying taxes and levies as an incentive for the investment of the NLNG shareholders for a period of 10 years or when the cumulative average sales price of the liquefied natural gas reaches $3 per Million Metric British Thermal Units (MMBTU) as calculated in the first schedule to the NLNG Act whichever is earlier. It is very crucial to put this matter in proper perspective for this government as it grossly borders on huge loss, whether by deliberate design or covert omission, of deserved revenues to the Federal Government and to the people of this country. The question now should be: when did the NLNG commenced paying taxes and other dues/levies to the Federal Government of Nigeria? Did the company honestly follow the stipulations of the Act establishing it especially as concerns the grace period and/or established output milestone? As expected, the NLNG admitted that it started paying tax to the Federal Inland Revenue Services since 2009 the said 10 year exemption period expired. However, according to oil and gas market intelligence that is readily accessible by anybody who cares, as at January 2004, which was the fifth anniversary of the commencement of production by the NLNG, the New York Mercantile Exchange (NYMEX) indicated that the price of the resource stood at $9 per MMBTU, meaning that, the milestone for the expiration/nullification of the exemption period had been surpassed by 200 per cent in the cumulative average sales price as at 2004. Good that the information did not come from Nigeria, can the NLNG dispute this NYMEX market intelligence? So if as openly admitted by NLNG that the company started paying tax to the Federal Government in 2009 when in actually fact it achieved and surpassed by 200 percent the milestone to warrant annulment of the tax holiday even before 2004, why did the company not commence the payment in 2004 or even earlier when it hit and surpassed the milestone benchmarked price of $3 per MMBTU? What happened to the more than five –year gap (2004-2009) that the Nigerian government was denied legitimate revenue from the gas company? And how has the NLNG been paying the dues since 2009 till date? Are there still some levies the company feels it is still exempted from paying? It is baffling that a responsible company chose to hide under some dubious clauses in the Act establishing it to dodge paying the appropriate taxes almost two decades after the expiration of the fiscal incentives granted it. Can they behave in that manner in other climes? We need to ascertain the amount NLNG was expected to pay the federal government during this period (2004-2009) of silence and go all out to recover it if at all we want to be taken as a country of serious-minded people. Exactly what quantity of condensate, LPG and even raw butane does NNPC or whoever gets from our various LNG trains in a stream day? How are they sold- domestically or at the international markets and at what price? How are the proceeds accounted for- as part of LNG earnings or a stand- alone revenue? These questions are pertinent now that the world is actually showing us that what we were previously meant to believe were fugitives and useless by-products of LNG production processes are afterall as valuable as the liquefied natural gas itself. If only some of these foreign operators in this country working with some dubious NNPC top officials would come to terms that the prevailing business environment is no longer the same with what obtained when they did what they liked with our produced oil and gas and fed us with all sorts of lies to confuse our government people, they would be more careful in the manner they conduct their businesses locally here. 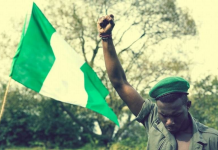 God Bless Nigeria! 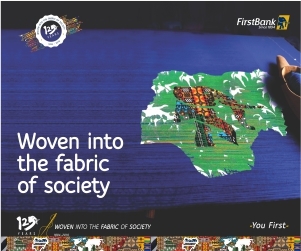 *** Ifeanyi Izeze is @ iizeze@yahoo.com; 234-8033043009. OPINION: IS CCT THE NIGHTMARE OF PUBLIC OFFICERS OR MERCENARY OF THE EXECUTIVE?